Without a car in the countryside, we ride the bus pretty frequently. In fact, I have the schedule memorised now but it is pretty easy because there are only four busses a day that leave from our stop. 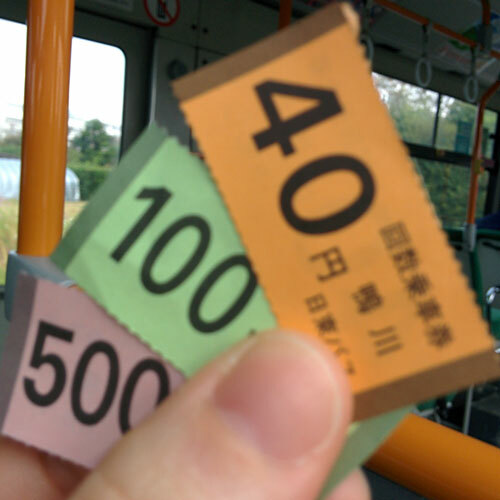 Tod has invested in "kaisuken" discount bus tickets. They come in different denominations so you can pay your fare no matter where you get on or off. They look like Monopoly money!